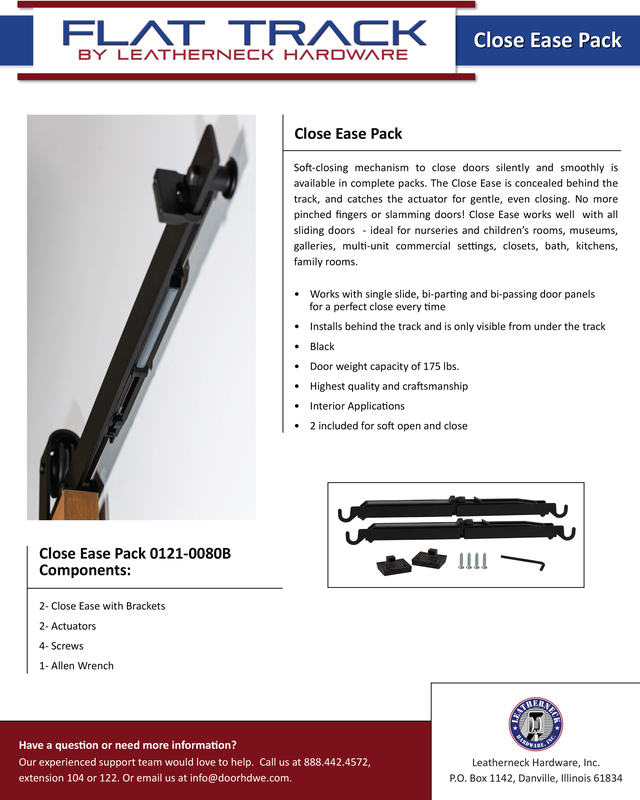 Our new Close Ease Kit ensures a soft close every time! Our soft closing mechanism closes doors silently and smoothly. The Closer is concealed behind the track and catches the actuator for gentle, even closing. Works well with single slide, bi-parting and bi-passing door panels to ensure the perfect close - no pinched fingers or slamming doors. Door panel weight capacity - 175 lbs. Interior applications. Interested in more information? Contact us at info@doorhdwe.com and we'll be happy to answer any questions.